At Spark Sleep Solutions, we’re proud to offer sleep apnea treatments ranging from traditional CPAP machines to light, portable CPAP alternatives for patients throughout San Jose and the Bay Area. But before we can prescribe a treatment, it’s critical to understand more about your condition and the type of sleep apnea you have. Specifically, we need to understand whether your suffering from central sleep apnea (CSA) or obstructive sleep apnea (OSA), as each will require a different form of treatment. But that leaves many patients wondering: what’s the difference between the different types of sleep apnea? 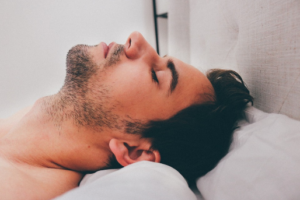 All forms of sleep apnea involve the temporary cessation of breathing during sleep, and in fact, each individual event where breathing stops is called an “apnea.” But there are a variety of factors that might cause apneas, and the two main types of sleep apnea – CSA and OSA – have fundamentally different causes. Obstructive Sleep Apnea: Occurs when the throat physically closes during sleep, preventing air from passing through to the lungs and temporarily stopping breathing. This may have a number of causes, but what it boils down to is that the muscles of the soft palate and soft tissues of the throat lose tension and collapse. This interrupts breathing for a number of seconds (an apnea), at which point the brain wakes itself up just enough to open the throat, often causing the characteristic sound of snoring, which is a symptom and indicator of OSA. Central Sleep Apnea: In central sleep apnea, the throat muscles may work fine, but the brain itself fails to send signals instructing the lungs to breathe during sleep, causing breathing to stop. In other words, OSA is a functional muscle problem, while CSA is a neurological problem. In OSA, the brain is telling the lungs to breathe, but the throat closes. In CSA, the brain isn’t telling the lungs to breathe at all. Mixed Sleep Apnea: also known as complex sleep apnea. As the name implies, mixed sleep apnea refers to patients suffering from both central and obstructive sleep apnea. Because OSA and CSA have very different causes, we’ll usually need to prescribe different treatments for each. While CPAP machines are an option for any form of treatment, we can often use CPAP alternatives like sleep apnea nightguards to treat OSA. These mouthguards reposition the jaw to hold the throat open, allowing air to pass and preventing apneas. For CSA, however, mouthguards aren’t usually effective because the problem is the brain, not the throat. CSA normally requires treatment through a CPAP, BPAP, or TAP PAP machine. These machines use a mouthpiece or facemask to increase the air pressure in the throat during sleep, holding the throat open and assisting the body in channeling air into the lungs. Contact Your San Jose & Los Gatos Sleep Apnea Dentist! Whether you’re suffering from OSA, CSA, or mixed sleep apnea, the sleep apnea specialists at Spark Sleep Solutions are here to help. We offer a wide range of advanced sleep apnea treatments, and we work with our patients to choose treatments that maximize comfort and convenience. Reclaim the healthy, restful sleep you deserve: schedule a consultation for sleep apnea treatment today!